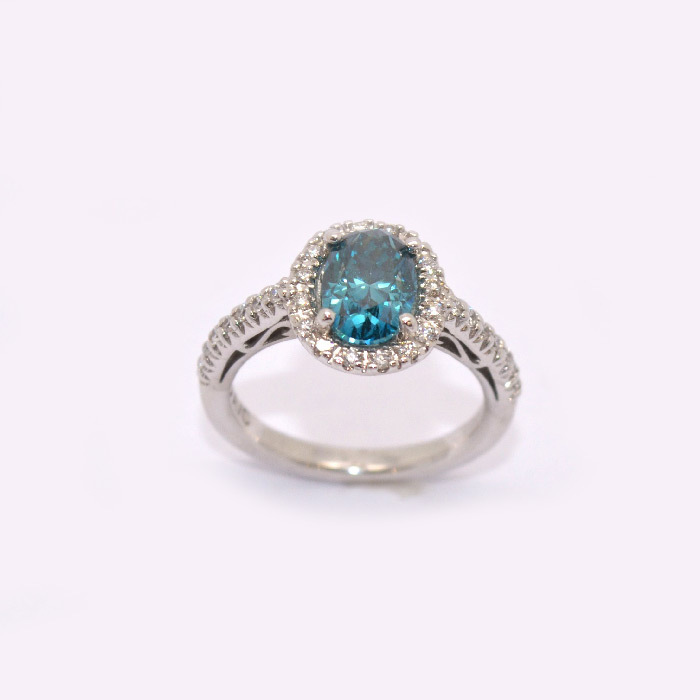 14k white gold oval Blue Diamond Engagement Ring. Center Diamond 1.68 ct. Mounting .35 ct.